As we all know, the internet can be a dangerous place for everyone's personal information. Having been on line since 1995, the KnifeCenter has always taken the protection of customers' security and privacy as our primary responsibility. We wouldn't want to lose our own personal information and we respect our customers and do everything we can to protect theirs. Our web site uses the latest technology to safely store and transmit all information. Our office is firewalled absolutely from the outside so that all information is secure. If there is ever an issue, we will be forthright with everyone in resolving it. The submission by you to Knifecenter.com of personally identifiable information (e.g., your name, your address, your e-mail address, your telephone number, etc.) may be required in order for you to receive certain services, products or information you request from Knifecenter.com  and some personally identifiable information is required in order to sign up for a Knifecenter account. Your e-mail address is used only to contact you about our business and will never be given for anyone else to use. The security of your personal information is a primary concern here at the Knife Center of the Internet. The information that you share with us is not given to or shared with anyone else for any reason except U.S. law enforcement agencies which may, through legal action, require information from us. In certain locations on this Web site in which we obtain personally identifiable information from you, we may include “check boxes” for the purpose of soliciting your consent to receive special offers and other information from Knifecenter.com. By leaving these check boxes “checked,” you are choosing to receive commercial e-mail communications from Knifecenter.com. In that event, you will have the opportunity at any time to “opt-out” of receiving future commercial e-mails from Knifecenter.com either by following the instructions located at the bottom of the e-mail we send you or in your Knifecenter Account Preferences Page. "Cookies" are small data files that many Web sites write to your hard drive when you visit them. A cookie file contains information such as a user ID that a site may use to track the pages you've visited. However, the only personal information a cookie can contain is information you supply yourself. Cookies served by Knifecenter.com don't permit Knifecenter.com to read data from your hard drive or read cookie files created by other Web sites. Knifecenter.com offers free electronic newsletters that are dispatched by e-mail. 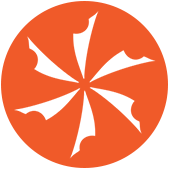 Knifecenter.com gathers the e-mail addresses of individuals who voluntarily subscribe. Individuals may subscribe, and subscribers may remove themselves from one or more of our mailing lists, through the Newsletters Page. 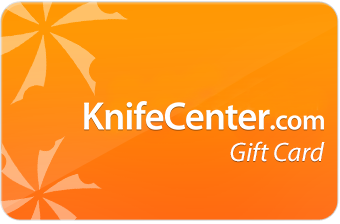 Knifecenter.com delivers newsletters, and marketing and product offerings promoted in newsletters, by e-mail only to registered recipients. Knifecenter.com reserves the right to change this Privacy Statement at any time. Please check this page periodically for changes. Your continued use of this Web site following the posting of changes to these terms will mean you accept those changes. Information collected prior to the time any change is posted will be used according to the rules and laws that applied at the time the information was collected.